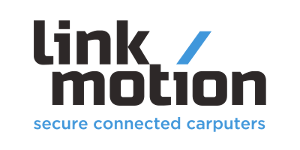 Link Motion News includes press releases, newsletters and invitations to the key events where we will attend. The distribution is a few times per year, usually bimonthly or quarterly, to inform you about our most relevant news updates. Link Motion Ltd is in charge of processing the personal data in accordance with the European Union's new data privacy law, the General Data Protection Regulation (GDPR), effective May 25, 2018. Your information is exclusively stored in our News mailing list on MailChimp, accessed by Link Motion’s Marketing team. We promise to treat your information with respect. By clicking below, you agree that we have your consent to include you in our News mailing list. Please note that you can change your mind at any time and unsubscribe from the list by clicking the unsubscribe link in the footer of any email you receive from us.